A new technique recently has been approved by the FDA to treat progressive keratoconus. This technique involves the use of ultra violet (UV) light and riboflavin (vitamin B2) drops. Clinical trials studies have shown be effective in some patients. 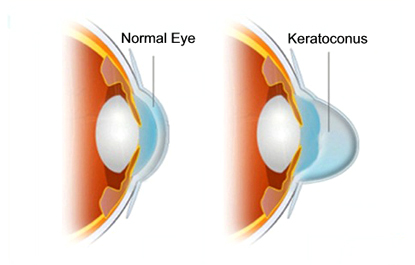 Call our office today for an appoinment for keratoconus evaluation and to discuss if the new FDA approved cross-linking treatment is recommended for you.